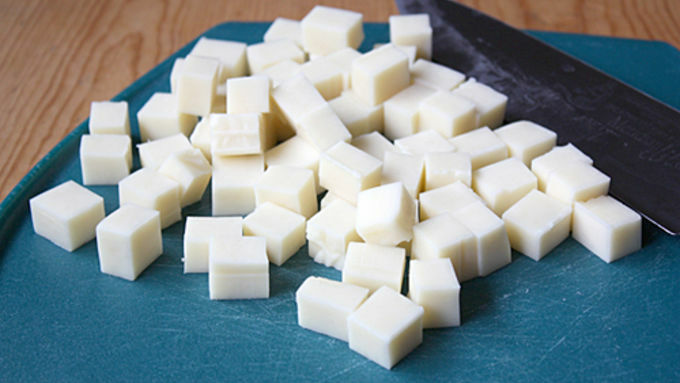 Cut mozzarella cheese into 1-inch cubes and set aside. 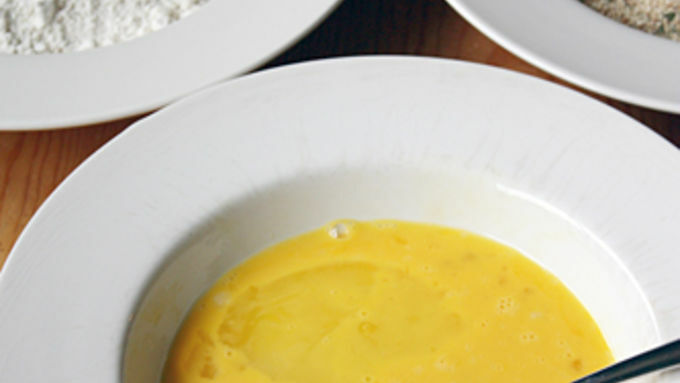 Place three shallow bowls beside each other, filling the first with flour, the second with the eggs and milk and the third with the breadcrumbs. Roll each cheese cube in the flour, tapping off excess flour, then dip in egg mixture, then roll in breadcrumbs and place on a plate. Repeat with remaining cheese cubes until all are coated. In a large skillet or saucepan, heat 2 inches of oil to 350°F (use a candy or deep-fry thermometer to gauge temperature). Set a large plate topped with a few paper towels off to the side. Using a slotted spoon, lower a few cheese cubes at a time into the oil, making sure they stay separated while frying. 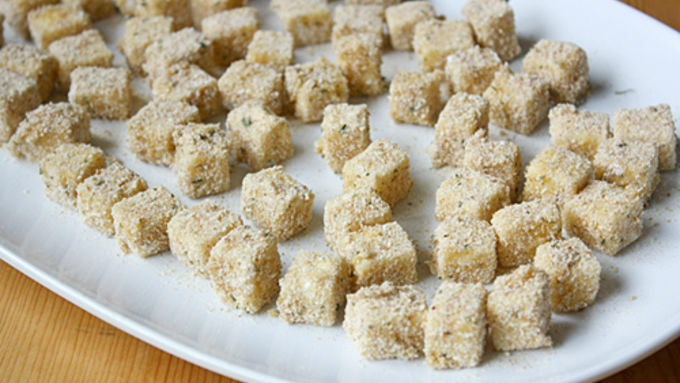 Remove from oil using spoon after 1 minute or when the cubes are a golden brown and place on paper towels to drain. Let oil return to 350°F before making the next batch. Repeat until all cheese cubes are fried. Heat pizza sauce in the microwave or on the stove top until warm; serve with warm, fried cheese balls. It’s time to party. 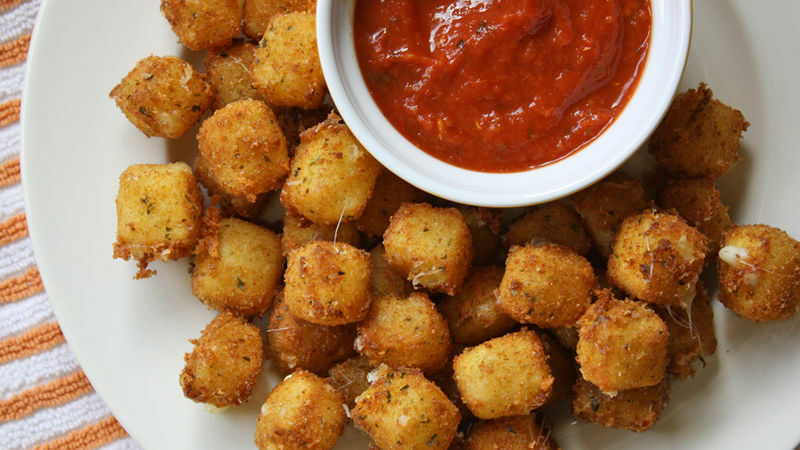 It’s time to make these Fried Mozzarella Cheese Balls. You heard me right: Fried cheese. Breaded, fried cheese. Breaded, fried, melty mozzarella cheese. 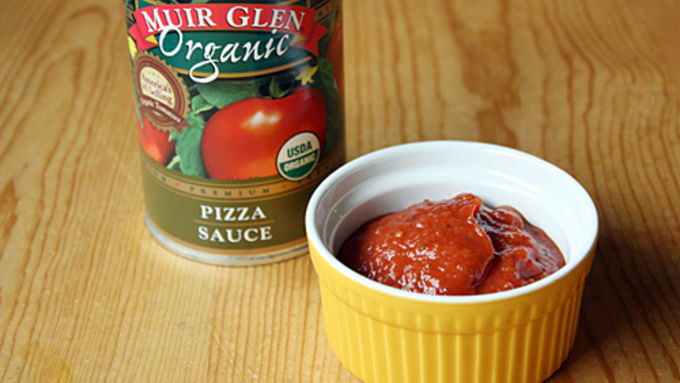 With a zesty, tomato-y pizza sauce in which to dip them. Can you handle the deliciousness? Of course you can. And your guests will thank you for it at your big bash. And now, it’s time that I dip, you dip, we dip.